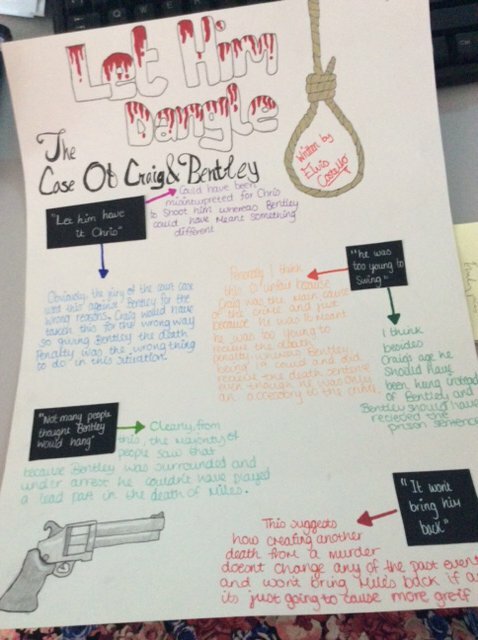 As part of their preparation for English Language GCSE, Year 10 has been studying Derek Bentley, who was hanged for murder in 1953. They produced creative reactions to Elvis Costello’s song about the case, "Let Him Have It". This is Paige's beautifully illustrated analysis. Haven't heard "Let HIm Have It" - is it a song dedicated to Liverpool's Karius and his generous donation of the European Champions League football to Benzema ? Enormous Oldsmobile and cruise Vicar Street playing TYM and Get Happy on the 8 track !! Doors locked & windows shut , if you know what's good for you down that part of town ! sheeptotheslaughter wrote: I am reading a spy novel by the author Mick Herron called Dead Horses. He uses the lines 'sleep of the just' and 'London's brilliant parade' in one chapter. not sure if he is a fan. Too much of a coincidence if he isn’t! In further novels he has used 'tears before bedtime', 'less than zero' and stretching it a bit 'accidents happen' and 'punching his own clock'. These things happen. Given that Joel runs this from his house I don't think we need to be seeking apologies. I'm grateful for everything he does to keep us up and running. verbal gymnastics wrote: These things happen. Given that Joel runs this from his house I don't think we need to be seeking apologies. Too right - as a collective, we owe him enormous respect and gratitude ! The songs for Imperial Bedroom would be written during the summer of 1981 and be recorded later that year. Did , perhaps, this phrase get stuck in Elvis's head ? 'Four Eyes , One Vision' The same phrase would used by Andy Kershaw to introduce, on TV , Elvis's performance at Live Aid in July 1985. I've had a couple made up. I think they look good? They look great. I hope you don’t get any letters from Elvis’ people for any potential copyright breaches though. verbal gymnastics wrote: They look great. I hope you don’t get any letters from Elvis’ people for any potential copyright breaches though. I don't think Elvis' people were directly involved in this. It's more 'fan art' I would say so should be in the public domain. I've ordered one of the prints from the artist so he is getting something back.